Adam Rutherford asks what, in the future, the genetics of intelligence could mean for educational policy. Are we right to fear streaming at birth? Or could an understanding of the genetics of intelligence be used to promote the kind of society we wish to live in. 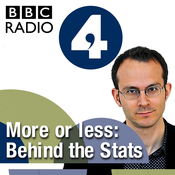 In this the second part of his investigation of the rise, fall and rise of the genetics of intelligence, Adam Rutherford explores an era post World War Two when behavioural genetics fell far from grace. The social not biological sciences reigned supreme in the the study of intelligence and differences between children were attributed to nurture not nature. Adoption studies were conducted to demonstrate the power of different home or school environments to transform lives. More recent studies, however, reveal that nurture is not what most of us imagine. Parenting accounts for just a small part of the variation between children's academic performances. The environment in the womb is as important, if not more so, than conditions at home or in the classroom. Not to mention the role of chance. To say one's child might be brighter than the norm is obnoxious. To suggest it's genetic, just adds insult to injury. To publish scientific findings confirming that the reason some children do better than others at school is due to differences in their DNA, is controversial. Share these findings with Michael Gove's education advisor and, it seems, you're asking for trouble. When, at the end of last year, scientists did just that, there was a furore: what if it leads to streaming at birth, gross inequality, eugenic dystopia? Adam Rutherford charts the rise, fall and rise of scientific interest in this area over the last hundred years, picking his way through an inordinate amount of historical and political baggage to find out why we find it so difficult to have a sensible discussion about the genetics of intelligence. At best, he might be told to check his privilege. At worst, he'll be a Nazi sympathizer. But for all Adam's liberal views, and perhaps because of them, he is determined to tackle this elephant in the classroom. By pretending there are no differences between us, we risk other prejudices. Watching children work really hard and fail to achieve much academically is painful. At the lower end of the intellectual spectrum, there's broad acceptance that you don't shout at a child with special needs: "Could do better!". But in the middle of a middle class world hell-bent on creating little miracles, the notion that there are losers as well as winners in the genetic lottery, is not welcome. Is a deep-seated and morally-upright desire for social justice a good reason to avoid a whole area of scientific inquiry? Let alone a rather less morally-upright desire for there to be no barriers, genetic or otherwise, to the genius of one's own children? Scientists who studied the genetic basis of intelligence in the 70s and 80s describe how they were howled down by colleagues, accused of being Nazis, and victims of a scientific witch-hunt. The main focus of scientific interest was on things that could be changed: the environment at home or at school, our ability to nurture, not our nature. The social not the biological sciences. Today, there's a renewed interest in our genetic inheritance: how it links us to our ancestors or an increased risk of cancer. And a tentative resurgence of interest in the genetics of intelligence. One great fear is that the winners in this genetic lottery will become ever more advantaged and obnoxious. Not fears that were shared by Darwin's half-cousin, Francis Galton, who coined the term eugenics. In 1869, he published Hereditary Genius, the first scientific study of the inheritance of intelligence. Himself a child genius, he wondered if his prodigious talent was inherited from his very clever ancestors. Worried by the poor quality of recruits for the Boer War, Galton fantasised about a world in which children were subjected to countless physical and mental tests. Those who were deemed fit were given permission to reproduce, while the unfit were sent to labour camps. Not surprising then that we are a bit anxious about the science of human genetics that he founded. Today, worried that our children are falling behind in the global league tables on academic performance, perhaps we have our own fears about degeneration? Meantime, there's a renewed interest in standards and measuring in schools and in the genetic basis of intelligence. Producer: Anna Buckley. 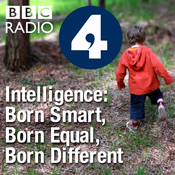 Lyt til Intelligence: Born Smart, Born Equal, Born Different, More or Less: Behind the Stats og mange andre stationer fra hele verden med app'en radio.dk.